19 Nov Did Linkedin remove emails from the connections export? YES. Linkedin has officially removed emails from your connections export because of GDPR. Have you exported your Linkedin connections since November 18, 2018? You may have noticed a major change in the exported data – the email column exists, but is empty. 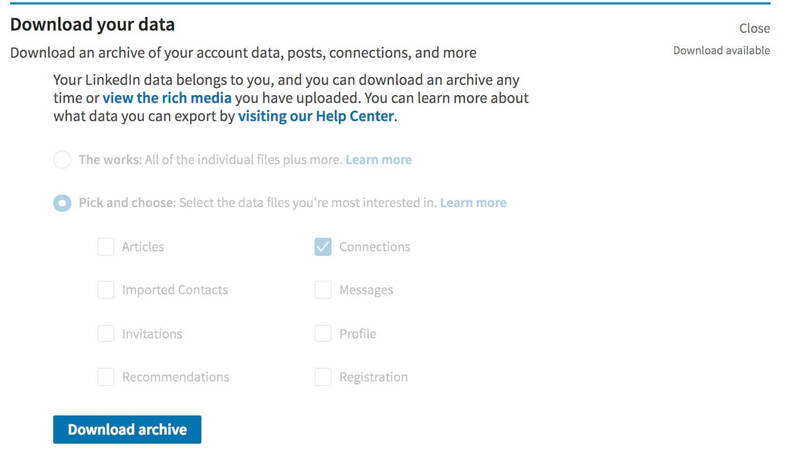 To comply with GDPR and help with privacy (and anti-spam) Linkedin has introduced a new privacy setting (go here to see) which allows users to choose whether or not to allow their connections to download your email address in their data export. THE DEFAULT SETTING IS NO. How will this impact Linkedin users? Removing emails from the data export presents some benefits, and major drawbacks. Without a doubt this will have a DRAMATIC impact on how many marketing companies use Linkedin on a regular basis. 1) Removing email from the export helps combat spam. 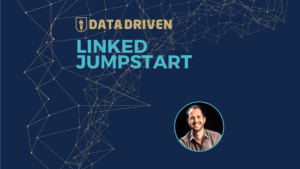 Think of all the times a new connection has added you to their newsletter without you asking or put you in an email campaign sequence without you opting in. That’s something bad players do, and we’re okay if that goes away. 2) It’s a move toward better privacy. 1) No CRM Integration. Linkedin is not a good CRM – even if you pay for Sales Navigator. Scheduling follow ups, calendar appointments, sending emails – Linkedin doesn’t do that. If you rely on the data export for importing your connections as contacts (not leads) into your CRM to help you with task management you are now out of luck. Most CRM’s make email a required field. 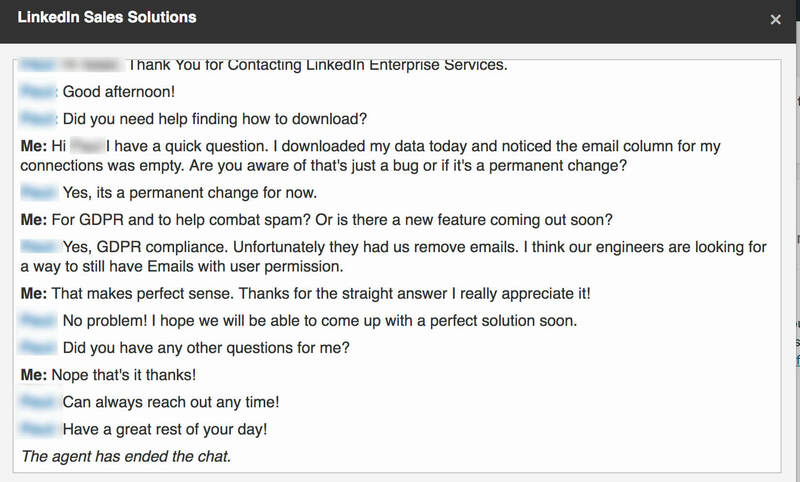 2) With connection emails still on profile pages this will absolutely encourage the use of scrapers, which violate Linkedin’s TOS. 3) Linkedin advertisers can no longer use the data export to market to their specific network – people who are more likely to convert. How useful is the connection export now? That depends how you use it – but by and large that document just lost the majority of its value. Even if you are a good player on Linkedin. Go ahead and download your connection data here. 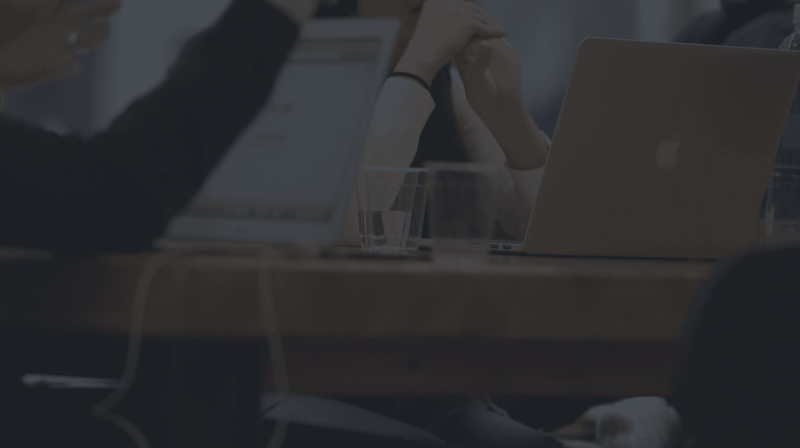 If you use connection exports to add people to email campaigns without them opting in – yes. If you know how to use Linkedin the right way to get leads, the only thing that will bother you is losing easy CRM integration. We’re working on a workaround now. Stay tuned.